I moved to California from El Salvador with my mother when I was two years old. Throughout most of my childhood, we lived in Huntington Park, a mostly-Latino, blue-collar suburb South of Los Angeles. Needless to say, I was far from gluten-free bread, kale chips, and other fad foods of Hollywood. There were few grocery stores nearby and, although we were only four blocks away from a Mexican market with great produce, I rarely saw a farmers’ market. Instead, there were lots of convenience stores filled with pre-packaged, processed foods, fast food restaurants, and small liquor stores with overpriced, overripe produce. It wasn’t until I moved back to the area after attending college in wealthy Irvine, California, that I really began to understand that I had grown up in a “food desert.” Before then, I didn’t know neighborhoods like mine had a name. But Huntington Park is a classic example. In 2012, the California Center for Public Health Advocacy found that 53 percent of the children there were overweight—making it the city with the highest percentage of childhood obesity in all of California. Growing up, the city was full of immigrants like me, or first, second and third generation Latinos who worked blue collar and minimum wage jobs that made it difficult to make ends meet. Not much has changed since then. 1. Healthy food is often more expensive in food deserts than in middle-class areas. Convenience stores and small specialty stores that sell fruits and vegetables usually offer them at a higher price than larger chains. A 2011 study pointed out that those who shop at convenience stores pay an average of 11 percent more than people who shop at supermarkets. People who live in food deserts also tend to have lower income, so an 11 percent markup has a big impact on their budgets. Smaller stores can’t negotiate with distributors or buy in bulk the way larger chains can, but it’s the customers who pay–in both the long and short term. Right after my mother and I moved to the U.S., we relied on mac ‘n cheese, ramen, and other packaged foods that my mother had never eaten in El Salvador. But I saw our diets slowly improve over the years as she learned more English, bought a car, and our options for eating out got healthier. 2. If you don’t drive, you’ll pay more. Many who live in food deserts don’t own cars and researchers still need to address proximity to public transportation. This is a problem in areas like Los Angeles, but it’s an even bigger issue in rural food deserts, where some residents may live up to 10 miles away from a large grocery store with fresher, higher-quality foods. Growing up, my mom and I bought food from a small grocery store because it was close, but the quality wasn’t good. When my mother finally bought a car, we started shopping at a larger market, which was about a 10-minute drive away. Now that I’m older, I find it sad and strange that my mother had to earn enough to own a car to finally start saving money on food. 3. When people living in food deserts can afford to eat out, their food options are usually unhealthy. Whenever I got a good report card, my mother would buy me a burger from Burger King or In ‘N Out Burger. An entire meal was about $5 and it made me very happy. Now my parents are in a better economic position and can afford to buy my siblings better meals, but not everyone can escape a food desert like they did. For many low-income families, eating out is a luxury. It’s not that we don’t have birthdays, graduations, and other celebrations just like the rich. But if we can’t afford to celebrate with our families by going to a nice restaurant, we’ll hit up the nearest fast food joint—because healthy restaurants are virtually non-existent in our neighborhoods. For example, I think the first time I ever ordered a salad as a meal, I was 10 years old. Before then, it would’ve been preposterous. Why would I order a salad at a fast food restaurant? A hamburger was cheaper and most fast food places didn’t serve salads in the early ‘90s. It was cheaper to make salads at home, and my mother and I rarely ate out at places that had healthy options. What low-income customers would pay $8 to $12 dollars to get a few pieces of lettuce when they can get eight to 12 items at the dollar menu for the same amount? 4. It’s harder to be eco-conscious in a food desert. We all know that convenience stores traffic in processed food, but most of it also comes in smaller packages, meaning the stores rely heavily on plastic and other disposable materials. And many low-income neighborhoods don’t have recycling programs or enough incentives to participate in them. Even buying bottled water—a common item in convenience stores—is wasteful. Similarly, fast food tends to come in wasteful packaging with disposable utensils. But that’s life in a food desert. It’s not that poor folks don’t know any better; we just can’t afford another option. 5. Most food deserts are bad for your health in other ways, too. 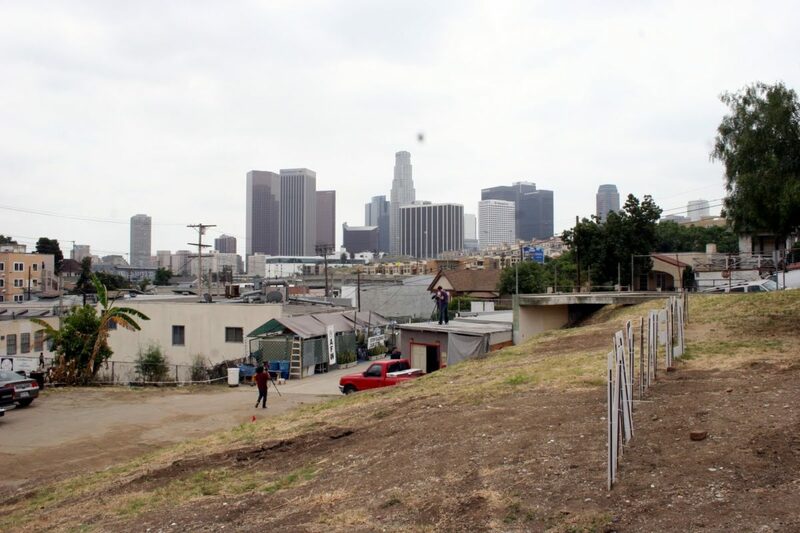 Low-income neighborhoods increase stress levels. Food deserts are statistically lower in income, safety, and even green spaces in which to play. Green spaces do exist, but they’re not safe, so even if you eat three Whoppers in one sitting, you have little desire to work out if you know some gang, or gang-wannabe group, will make it impossible for you to go running. There’s also noise pollution and a lack of bike lanes. I remember buying a pair of shoes with red shoelaces when I was 14. Once I got to school, my friends warned me that a gang was using these shoelaces, and if the rival gang saw me, I’d get in to trouble. This friend drew me a map of where I had to walk to stay safe. From then on, whenever I wore those laces, I’d take the alternate route, which added about 20 minutes to my walk home from school. Kids shouldn’t have to deal with these problems on top of food insecurity. I’ve read a lot about stress eating, and I can tell when there were periods in my life when I probably ate out of fear or stress. Can food justice solve all these problems? Maybe not. But if more people in low-income neighborhoods had access to fresh, healthy meals, it might have a real impact on children and adults who already deal with so much—especially since mental health services are often few and far between in food deserts. Appreciated this post! (Link to info on automobile access may be broken . Will read with interest. Many but not all low-income folks do drive to their preferred food retailer, frequently a large low-price retailer, which affects the economics for neighborhood stores too). Thanks, Parke. That link should be working now. Thank you for the first hand info. I have heard the comment about fast food being the only choice of poor neighborhoods and I always thought, just don't eat it. Now I see some of the reasons why it is eaten. Thank you. I wish you would not refer to Irvine as a wealthy community. Maybe compared to Huntington Park it might seem so, but it is a mixed community of upper middle income people, with some higher income people thrown in. Your use of the term "rich people" seems to cover everyone higher on the income scale that where you grew up. I liked the article, but think the emphasis on rich people was a bit non journalistic. This is not a criticism. Just a comment.